We have a proven track record of low cost Air-Conditioning and Heating repairs to residential central and forced air systems. Our “service call” price is $50. This entitles you to a written diagnosis and an estimate for repairs. Locally based with offices in Long Beach, Orange and Rancho Cucamonga we are a true 24 Hour service and can be reached directly day or night. From 60 year old floor furnaces, to cutting edge systems, call us for all of your indoor comfort needs. Your affordable alternative to the “BIG GUYS”! We offer repairs of Air Conditioning and heating systems. Does your Air-Conditioning system blow warm air in AC mode? Maybe your furnace never shuts off? Perhaps your system constantly cycles on and off or it doesn’t even come on at all These are common complaints we hear everyday. Repairing heating and air conditioning equipment does not necessarily mean a big expense. 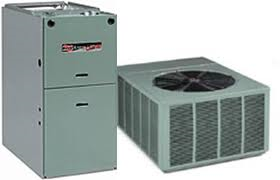 We have found that most furnaces and AC units can be easily repaired with common parts that are stocked on our trucks. Getting the repair RIGHT the first time is the difference between being comfortable in your home with working equipment, and visit after visit with broken equipment. We have the experience to diagnose your air conditioning or heating problem and make the appropriate repair on the first visit in most cases. We warranty all repairs and parts for peace of mind. Fully licensed and bonded with 12 years average experience, CALL TODAY!